We are thrilled to have Jason Roberts serve as our General Manager. Our customers and employees couldn't have a better advocate for them. Jason's focus is on making sure our customers have an exceptional experience and he also helps us by developing relationships with both vendors and in the community. Jason is a IICRC Certified technician for Fire, Water and Mold damage remediation. 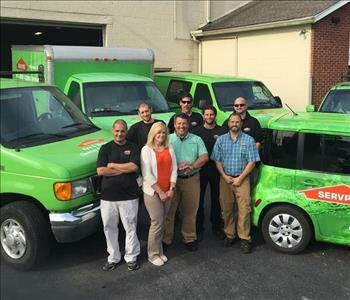 Photo of the team at SERVPRO of Hershey/Swatara. Back row; Chris, Tim, Josh and Jason P.
Front Row; Terrell, Donna, Joe and Jason R.
We are grateful for the excellent team members we have that are ready to help you make it "Like it never even happened." Joe Lapp has been a business owner since 1986. 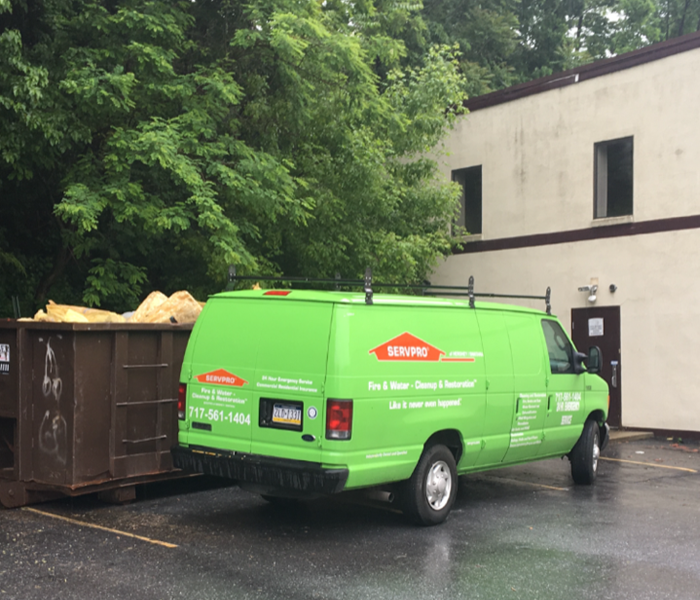 Joe has experience in the construction and insurance fields making him a great fit for SERVPRO! 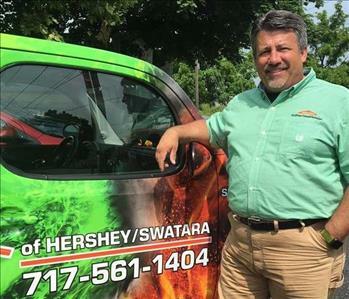 Joe values the brand awareness of SERVPRO and is very proud of the excellent reputation that SERVPRO of Hershey/Swatara enjoys. Joe is IICRC certified as a Water Restoration Technician. 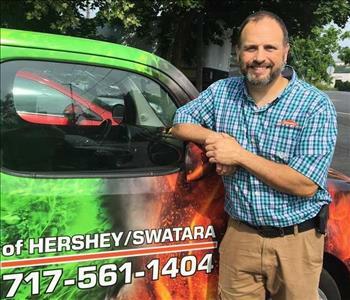 Jason Prifer is a Crew Chief for SERVPRO of Hershey/Swatara. Jason is certified by the IICRC as a Water Restoration Technician. 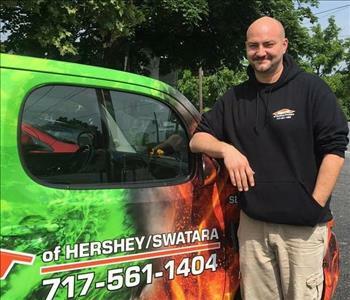 Building on his many years of experience in the restoration business, Jason does an excellent job managing jobs, communicating with both customers and adjusters and ensuring that our customers have a very high rate of satisfaction. We are very happy to have Jason represent us and SERVPRO as a quality Crew Chief!